Washington, which signed 20 prospects in December, already owns a 2019 recruiting class ranked 14th nationally by 247Sports. Can the Huskies add to that haul in a significant way on national signing day? Let’s start with some unrealistic expectations. ‘Tis the season, right? After all, Wednesday is national signing day, a college football holiday marked by press conferences wherein every coach at every school raves about every one of their 20-something signees. Every program is on the rise. Every need was filled. Every team is undefeated and will be forever and ever. It’s no different at the University of Washington, where 20 recruits signed with the program in December and several more are expected to officially join the class on Wednesday. So, how does the 2019 class compare to its Husky predecessors? But first, let’s all stop and take a breath. Best ever? It’s far too early to tell and possibly reckless to even suggest. But that doesn’t mean UW fans shouldn’t be plenty excited. “I think no matter what this is going to be (head coach Chris Petersen’s) best class that he’s signed,” said Brandon Huffman, national recruiting editor for 247Sports. “They’ve got a fantastic D-line group, both with defensive tackles and guys that are playing on the edge. You’ve got a fantastic linebacker corps. You’ve got a top-quality secondary class. You’ve got a running back. You’ve got a quarterback. You’ve got at least one receiver and potentially two. Just about. If Washington’s current class — which is ranked 14th nationally by 247Sports — has a weakness, it’s that the Huskies snagged just one wide receiver and zero tight ends during the early signing period in December. 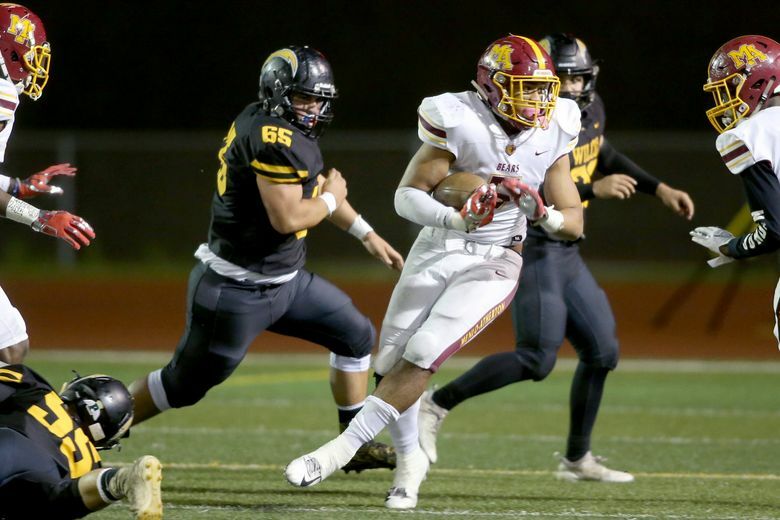 UW may be able to patch those holes on Wednesday, when tentative USC commit and consensus four-star wide receiver Puka Nacua announces his college destination. Huffman said that Petersen and Co. “very realistically do have a shot” at flipping Nacua, who has taken official visits to UW and Oregon in the last few weeks and also has a brother who plays for Utah. Outside of Nacua, two four-star Husky linebacker targets — Daniel Heimuli and Henry To’oto’o — will sign with someone on Wednesday. Huffman said he’d be “stunned” if Heimuli doesn’t ink with UW, while Alabama is still the favorite to land To’oto’o’s services and signature. Though the Huskies might not be far behind. “As far as Henry is concerned, everything I’m hearing is still Bama. But Washington has made it compelling,” Huffman said. “They’ve certainly put themselves in the mix. In Petersen’s dream signing day, To’oto’o, Heimuli and Nacua — plus four-star safety Asa Turner, who reaffirmed his commitment to the Huskies last week — would add to an already impressive haul. Of course, that might be just a dream. But what if the dream came true? “It would be tremendous (for UW),” Huffman said. “It would be up there among their biggest signing day closes probably since they signed Budda Baker and Kaleb McGary in the same class, or the year that they got Shaq Thompson and a few other guys that committed on signing day. If, somehow, that all came to pass, UW’s existing signees would deserve some credit for the accomplishment. After all, nine Husky signees participated in the Polynesian Bowl all-star game last month, more than any other program. They spent a week in Hawaii playing with, practicing with (and, yes, recruiting) some of the top uncommitted prospects in the country. Any guesses which other players attended? Nacua? Check. Heimuli? Check. To’oto’o? Check. Turner? Check. They came. They saw. They recruited. “I think last year is when you really saw the impact the Polynesian Bowl had on prospective recruits,” Huffman said. “(Washington defensive tackle) Tuli Letuligasenoa didn’t sign in December, spent a week in Hawaii around all the Polynesian Bowl players going to Washington and ultimately turned. That week had a huge impact on him. “A year later, Daniel Heimuli was coming off his official visit to Oregon. Henry (To’oto’o) had already visited Washington in the fall but he was getting ready to visit Alabama. Then (Alabama defensive coordinator) Tosh Lupoi, who was recruiting both of them, leaves. That extra effort may pay off on Wednesday. Will this ultimately be the greatest group in Washington football history? Unlikely. But, unrealistic expectations aside, it could still be something special.